New York Painting Services offers commercial businesses and residential homes in New York and New Jersey with expert contracting services. Since 2004, New York Painting Services has been fully licensed and insured to deliver family-friendly customer service and superior execution on projects we perform all the while upholding our high moral values. With our experienced technician’s skills and expertise complimented with exclusive top grade equipment, supplies, tools, and products offered to licensed professionals, New York Painting Services consistently dispenses premium results. Among our many services, we specialize in color consulting for your home or business’s interior and/or exterior painting projects. With New York Painting Services, your home or business located throughout New York and New Jersey can take advantage of a professional color consulting specialist. Our color consultants can base creations of color schemes that will amplify the design of the room’s architectural features such as; walls, trim, ceiling, and other or common features keeping in mind your tastes, whether they are trendy and modern or classy and traditional. New York Painting Services works with the various paint products currently available on the market, and recommend the right product for the project you have in mind. New York Painting Services color consultants take into account the room of your home or business in the New York/New Jersey areas. For example, we look at existing furniture, accents, and décor, or if you are planning to replace or upgrade them to enhance and compliment the room with a fresh coat of paint and the right color combinations accordingly. 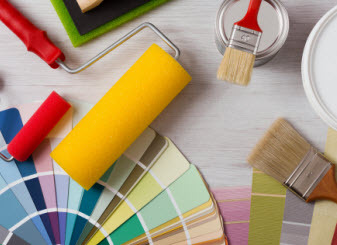 New York Painting Services color consulting specialists can help you with large projects or small, whether you hire us to do the painting project for you or if you plan on doing it yourself, our recommendations are always versatile. New York Painting Services color experts can help select the right undertones to your favorite primary color, to enhance the room, where the undertones are not obvious to the untrained eye, we can quickly identify the compatibility of the undertones that work with accent colors or the rooms décor or flooring color and type. The color consulting professionals with New York Painting Services possess advanced training on understanding the psychology of color and how it can be harmonious in your New York/New Jersey home or beneficial to your business. With that same training we can incorporate the various ways color absorbs or reflects the surrounding conditions to ensure the overlook desired is deep and true to the color choices you favor. 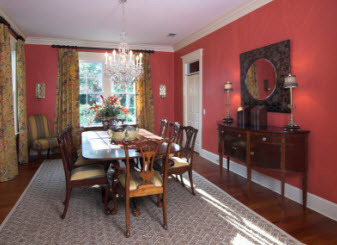 There is much more to being a professional color consultant than helping you pick the right shade of red or green. Understanding the complex nature of how to feed on the existing elements, incorporate your own tastes, enhancing the architecture, and creating the right mood are just some of the examples New York Painting Services consultants consider during your consultation. Working together we can magnify the beauty of your home or business through New York and New Jersey. Exterior paint or interior paint brings everything together. 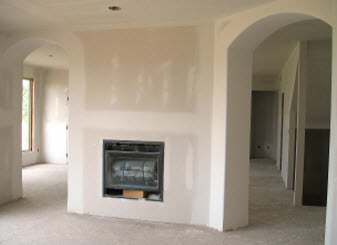 Call us today to schedule your painting consultation with one of New York Painting Services consulting specialists.